Commercial bakeries are always working to optimize safety, efficiency and sanitary operations. 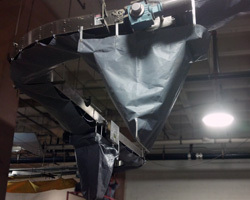 Siftex Crumb-Catcher under-conveyor vinyl tarps help you achieve these goals. Crumb-catchers trap crumbs, ingredients and waste which might otherwise fall from the conveyor system. Siftex specializes in the turnkey design as well as manufacturing and installation to help save you time and boost productivity. Siftex Crumb-Catchers are built with a focus on ease of use. 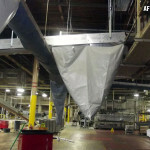 We design in features that make emptying and cleaning the tarps as easy as calling Siftex to learn more. Are your hands full managing the production of bread, rolls, pastries, muffins, buns and more? Get better connected with Siftex and let us help you spend less time with downtime. 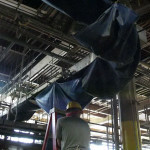 Choose the convenience and savings of turnkey catch-cloth installation. We measure, design, fabricate and install catch-cloths based on your schedule and budget. Put our experience to work for you. 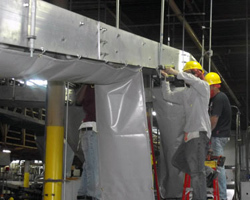 Siftex offers catch-cloths with innovative designs that are proven easier for your crew to remove, clean and re-hang. Many of our designs for high crumb areas do not require cloth removal for cleaning. The result is a cleaner, more efficient and safer operation. 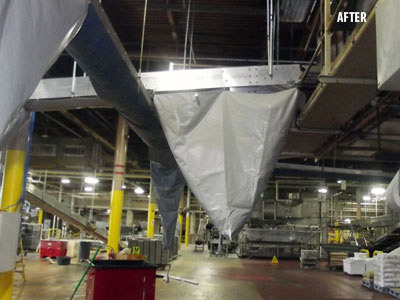 Catch cloths keep your conveyor system and plant clean and safe. Catch cloths are easy to empty, clean and maintain. Heavy duty vinyl-coated nylon cloth sections include brass grommets. Available in multiple colors. 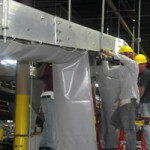 Save time and money with Siftex complete measurement, fabrication and installation service. 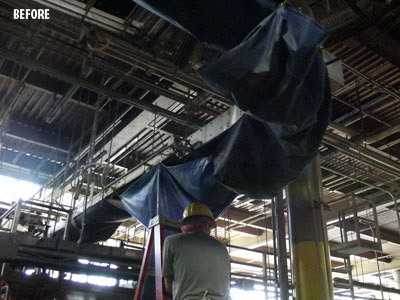 The first step is an extensive measurement survey of the entire conveyor system. We draw, measure and map every corner, straight run, and vertical switch. All motor boxes, cleaning brushes, electrical conduits, brackets, and hangers are measured to ensure accurate fabrication and installation. Our catch-cloths are designed to be easy to remove, clean and re-install. there may be a fee for this service. The fee will be deducted in whole or in part from your catch-cloth order. 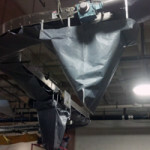 Catch-cloths are custom fabricated using heavy duty vinyl coated nylon cloth and brass grommets. Choose from multiple colors of vinyl to complement your plant environment. Each vinyl panel has an easy to read label indicating the conveyor section it fits so there is no confusion when the panels are removed and re-hung. 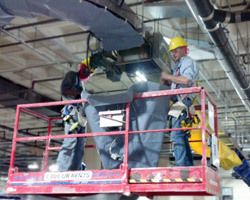 Siftex utilizes a crew of trained installers to complete the job within the available conveyor down-time. Catch-cloths are hung using “J” hooks and “S” hooks. “J” hooks are screwed into the sides of the conveyor. “S” hooks are crimped to the grommets along the sides of the vinyl panels. The “S” hooks are attached to the “J” hooks providing an easier way to remove and re-attach the panels. Our installation team comes equipped with all the tools and safety gear required and is fully insured. They will remove the old tarps, if needed. Throughout the installation, our team cleans up all work areas to maintain safety and sanitation. 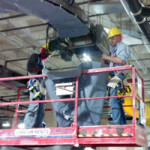 The bakery will need to provide the scissor-lifts and ladders used to access the conveyors. The conveyors being worked on must be switched off and remain so until our crew is finished. The final step is to supply the bakery with a binder containing the maps, drawings, panel numbers and locations for all the vinyl cloths. There is a three to four week lead time to fabricate the vinyl catch-cloths after receipt of your purchase order. Installs are scheduled during your bakery’s normal downtime. We work days, nights and weekends to meet your requirements. Flexible payment plans are available to keep you on budget.